Dance is a fantastic form of expression. It gives the artists the ability to tell a story, invent a new world, and evoke emotions in people that they didn’t know they had in them. 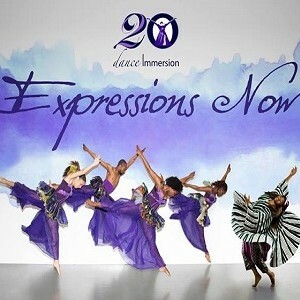 I feel like I experienced all three of these elements when I had the chance to see Expressions Now, a dance Immersion showcase presentation featuring two outstanding companies: KasheDance and Azaguno. Both dance companies were given one half of the show each to wow the audience and present their stories essentially side by side. In my opinion they were both equally successful in showcasing their works and moving the audience. Both companies focused had a heavy influence of African/Black culture, which I to be honest have not experienced enough of. I however was then able to watch both halves, unbiased. 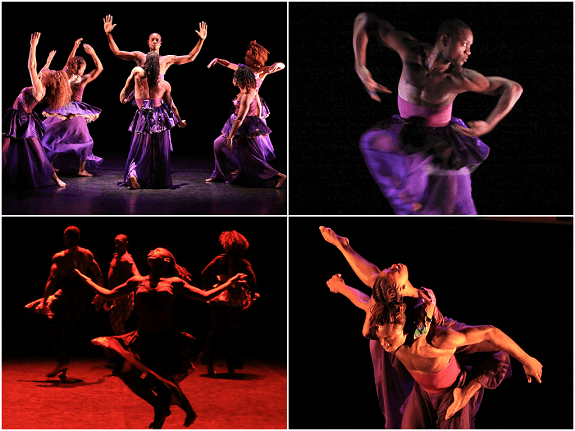 KasheDance took the stage first, presenting three pieces: Recalcitrare (excerpts), Ke-Ashe (interludes within) and 5…. The dancers were absolutely fantastic. Their bodies moved like silk, but their moves were sharp and crisp as the same time. 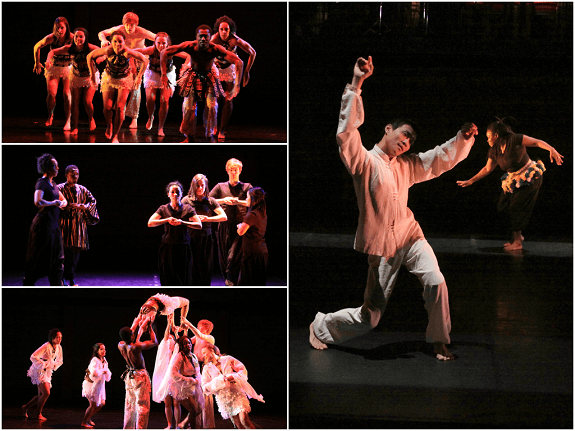 I found that the male and female dancers worked together to create a sense of harmony within the pieces. At one point, a man in a suit appears on stage, and his movements in my opinion dictates that he is too connected to his work, almost as if he is addicted to his briefcase. Throughout the rest of the piece, the single dancer (Kevin A. Ormsby) looks like he is going through symptoms of withdrawal. He soon runs off stage, an re-appears with what looks like tribal paint on his face/body. The dancer appears to be receding to a more primitive state of human-kind, where life was lived without the chains of a day-to-day job holding you down. As the piece continues however, the dancer disappears and reappears with less and less clothes on, until he is completely naked, freed from everything that represents him as a man of the 21st century. I commend Ormsby for his courage to do this piece naked, because even though it was extremely shocking at first, soon his movements, full exposed to the world, became truly beautiful. The Last piece 5… was purely fun. There was a great mix of music from Jazz to the use of pan flutes. This music was toe tapping, and complimented the dances perfectly. I thoroughly enjoyed KasheDance’s work, and was eager to see what Azaguno had to offer to the table. After the intermission, a gong sound was heard to symbolize the start of the next half, and the world premiere of Africa Meets Asia. At first, we were presented with an assortment of traditional Asian and I believe African dances, but they were very short (about 30 sec to a minute each). This section of dance lasted a long time, almost too long. A few minutes (maybe 10 minutes) into the second half I was wondering why I even stayed for the second half, and I wasn’t the only one. The people around me started getting fidgety and were looking for something to keep their attention. But then the music picked up and to all our surprise, a live band appeared playing an assortment of asain drums, pan pans, cow bells, etc. As the music picked up, we then started to see the energetic dances starting up. Better yet, we started seeing the fusion of African and Asian, through the use of music, costumes, and of course the amazing dancing. Once it picked up, the traditional dances that made appearances in the piece suddenly became mesmerising and enjoyable, instead of dull and boring. Throughout the evening the band played on, and were truly amazing! They were giving it their all, and really enjoying it, which mirrored the enjoyment of the dancers, and when performers give it their all, it inspires the audience to get up and cheer. What I also admired about this group was that the dancers in the show were all shapes and sizes, inspiring people in the audience, including me, to start moving and have fun. Overall, this was a fantastic night, and I am grateful and thankful to have experienced two amazing dance companies. I sincerely hope this show comes back and you all experience the amazement that dance Immersion, KasheDance and Azaguno.